Which Is Worse: High Fructose Corn Syrup Or Sugar? While both sweeteners really aren’t great, high fructose corn syrup, which is found in a wide variety of highly processed foods and beverages such as baked desserts, salad dressings, ketchup, sodas, and ice cream, is the slightly more dangerous choice. 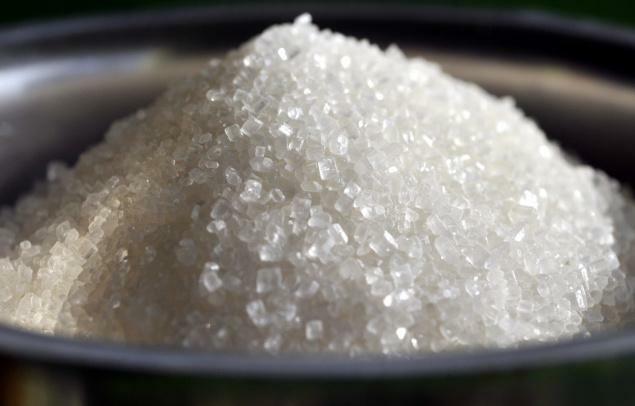 Too much of any sugar is bad for you—in excess, it promotes insulin resistance, weight gain, and inflammation that contributes to chronic illnesses like heart disease and cancer. From a health perspective, some experts say HFCS (which is, obviously, derived from corn) is no different than table sugar (which comes from sugar cane and sugar beets), but there’s one difference between highly-processed HFCS and regular sugar that gives me pause: Some forms of HFCS may release more fructose within the body than does sucrose, or table sugar (which pales equal parts glucose and fructose). Glucose triggers feeling of fullness to help keep you from overeating, while fructose doesn’t. Worse: a recent study in the Journal of Nutrition found that HFCS is significantly more toxic to female mice than table sugar is, harming their reproductive health and shortening their lifespan. Other animal studies suggest that high intakes of HFCS can slow brain function, impairing memory and the ability to learn. There is also an environmental impact to consider, as the government-subsidized growing of corn requires large amounts of fertilizer and pesticides, and depletes the soil of nutrients. Though some manufacturers, like Hershey, are doing away with HFCS in favor of ordinary table sugar, many still favor HFCS because it tastes sweeter than regular corn syrup, helps maintain a long shelf life for their products, and, until recently, has been relatively inexpensive. But there are better, healthier ways to add flavor, like a splash of maple or glucose syrup or adding vanilla or cinnamon. Regular sugar can add to the pleasure of eating in small doses, but we consume far too much of it. In fact, the average American consumes 22 teaspoons of sugar daily, most of that coming from sugar-sweetened sodas, grain-based desserts such as cookies and cake, candy, energy drinks, ready-to-eat cereals, and yeast breads. So when you’re reaching for a snack, read ingredient lists carefully to avoid added sugars as much as possible. Or stick with naturally low-sugar options like air-popped popcorn, plain Greek yogurt, sorbet, and dried fruit.